Deadline: September 20th by email. The juror is Diane Edison from the Lamar Dodd School of Art, University of Georgia. 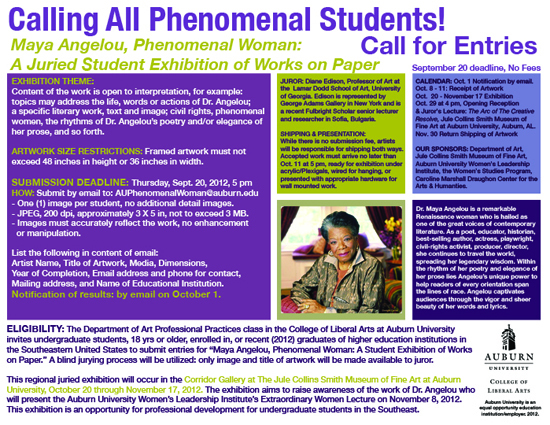 The exhibition will occur in the Corridor Gallery at Jule Collins Smith Museum of Fine Art at Auburn University in October through November.